Sheila Brown is a Chicago native who is Executive Director of the CineCares Foundation at Cinespace Chicago Film Studios. Sheila developed a desire for professional success early in life. She obtained her first job at age 15. Seven years later, Sheila began her career in broadcast television where she was fortunate enough to work alongside the Chicago Bulls during their six championship seasons. She later founded Freedom Entertainment, Inc. where she worked with clients in sports, entertainment, and the corporate world for 20 years. Sheila has enjoyed a diverse career in broadcast television, event management, and marketing/public relations, working with some of the country’s most recognizable companies and brands, including the National Basketball Association, National Hockey League, Major League Baseball, TNT, ESPN, Proctor and Gamble/Gillette and Motown Records. After spending several years traveling the country producing live television broadcasts, Sheila began consulting with Chicago area healthcare clients such as Northwestern Medicine, The University of Chicago Medicine, and Advocate Health Care. Through this work, Sheila expanded her reach by working on healthcare related news stories and broadcast programming with People Magazine, ABC News, MSNBC, Lifetime Television, and The Oprah Winfrey Show. Over the years, Sheila has work with many non-profits. That work in the community led her to the work she is doing today. Sheila enjoys working with youth, empowering them to achieve both personal and professional success. 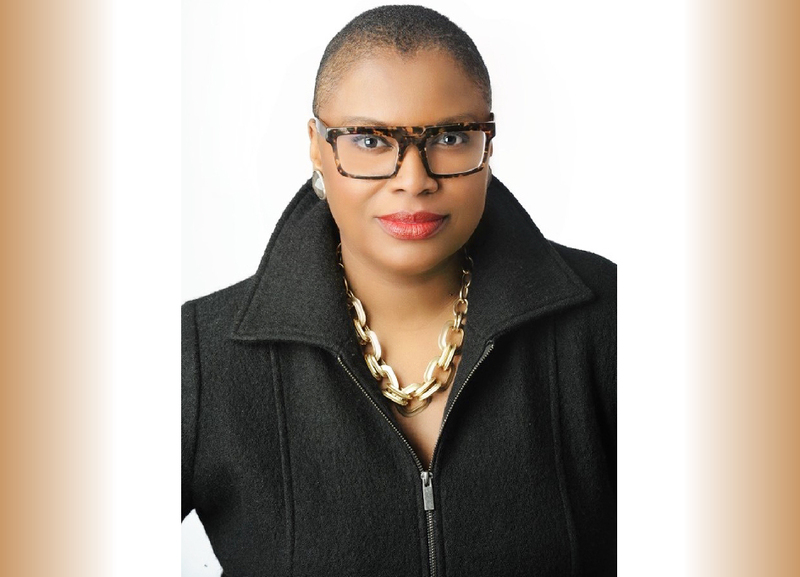 Sheila is an alumna of Columbia College in Chicago, where she studied Marketing Communications. How did you get into the business? On a whim, and with no prior television production experience, I sent my resume to SportsChannel Chicago because I loved sports. They actually called! I was hired as an assistant in the programming department. The Chicago Bulls had just won their first championship so things started to move at a whiplash pace. I was the Production Manager for the station in three years. What obstacles have you faced specifically because of your gender? I have not encountered anything that I would consider an obstacle. Being a woman in sports and entertainment has certainly led to some interesting, and sometimes challenging, encounters with men but nothing I could not handle. Best thing to ever happen to you to remind you that you are a woman? At age 26, I was appointed to a Broadcast Advisory Board for the NBA.That board of 12 included only one other woman and she had probably been around the NBA longer than any o f the men on the board. When I went to my first board function, I could see that the 10 men involved had an appreciation for a fresh new — and female — perspective. Work you are most proud of? I am proud to have had my own company for 20 years. I am equally proud of the work I am doing today. I am working with television producers, networks, and unions to find job training opportunities for youth who are from under-served communities and would not generally have access to the TV/Film industry. This work is helping us develop more skilled labor in Chicago. Additionally, it is helping us to create more diversity. How do you describe the most significant #metoo moment of your life? Thankfully, I have not had encounters like the ones coming to light these days. My years in sports – particularly time spent in locker rooms — led to some interesting encounters but thankfully no one ever crossed the line. How have professional attitudes towards women evolved during your career? When I became the Production Manager at the television station, I would call sports producers to discuss the technical needs for their broadcasts and they would call my boss back and say “tell your secretary that I need…” I do not believe this would happen today. I believe that businesses across the board are starting to understand the tangible value that women bring to their organizations. Now, when we start to get equal pay then we can really talk evolution! Trapped on an island what essentials must you have? A bible, hammock, sunscreen, matches, knife and a satellite phone. If you had a time machine, what would you say to your past self? Buckle up girl! If you could have a one-on-one with anyone who would it be? And why? President Barack Obama. I would like to hear an intimate, and unedited, version of his experience as the first African American President.